Made with the finest 100% Organic Egyptian Cotton. 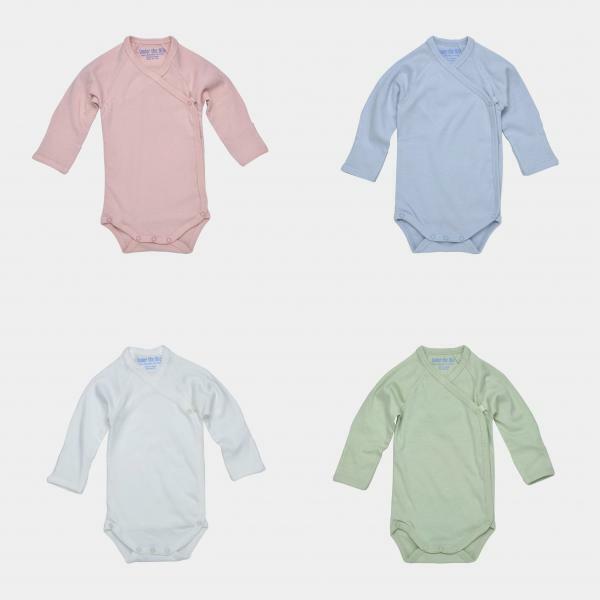 Use this organic cotton onesie as an undershirt or T-shirt, either way your baby will definitely be ready for spring! Side snaps allow for easy changing, just lay baby flat on the T-shirt and snap close! There is no need to pull over your baby's head. Sleeves have fold over mitts so that the baby doesn't scratch.